The world stands poised on the brink of another World War. God is not dead but he is absent. The smartest man in the world is Public Enemy Number One. The black and white man who died rather than compromise his code of honor lives again. It is November 22nd, 1992. Or maybe it’s the 23rd. Either way, this is the day the world ends. Those who come to Doomsday Clock #1 expecting immediate resolution regarding anything in any on-going DC Comics story line will be sorely disappointed. There are no stunning revelations regarding the Machiavellian schemes of Mr. Oz and his plans for Superman. There is no new data regarding the odd button which Bruce Wayne found embedded in the wall of The Bat Cave. There are no clues as to what force was responsible for trapping Wally West outside of time. And there’s certainly no explanation for that giant light-blue hand that created The DC Universe and whose hand it might have been. 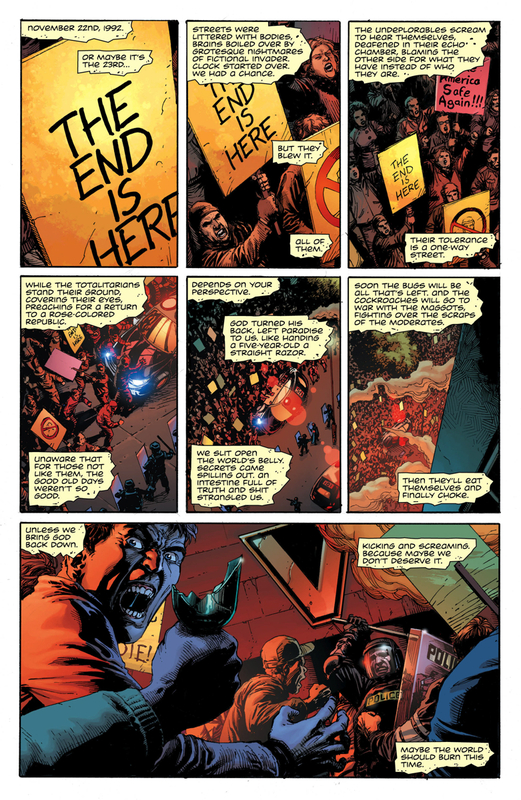 What Doomsday Clock #1 is thus far is the first chapter in a straight-forward sequel to Watchmen – the classic graphic novel by writer Alan Moore and artist Dave Gibbons. The sheer audacity of such a thing has already turned many readers against this book and this is completely understandable. 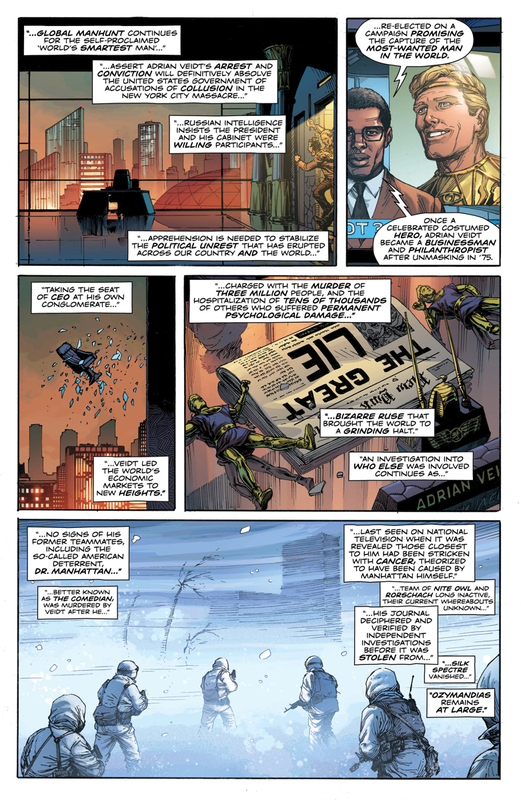 Writer Geoff Johns has been accused of strip-mining the works of Alan Moore for his projects before, the most famous example being Moore’s Green Lantern story Tygers providing the seed of the ideas which informed Johns’ run on Green Lantern and his redevelopment of the DC Universe’s cosmology. It is far too early to draw comparisons between Watchmen and Doomsday Clock textually. 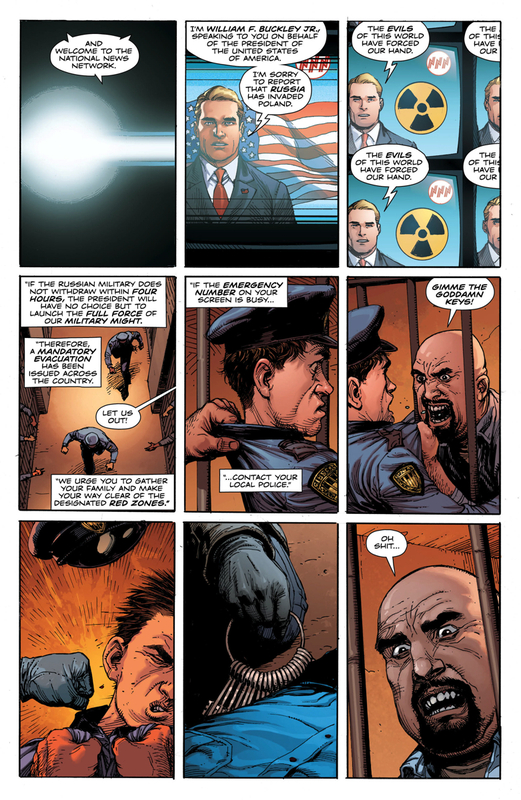 Taken on its own merits, unfortunately, there’s not much to Doomsday Clock so far. 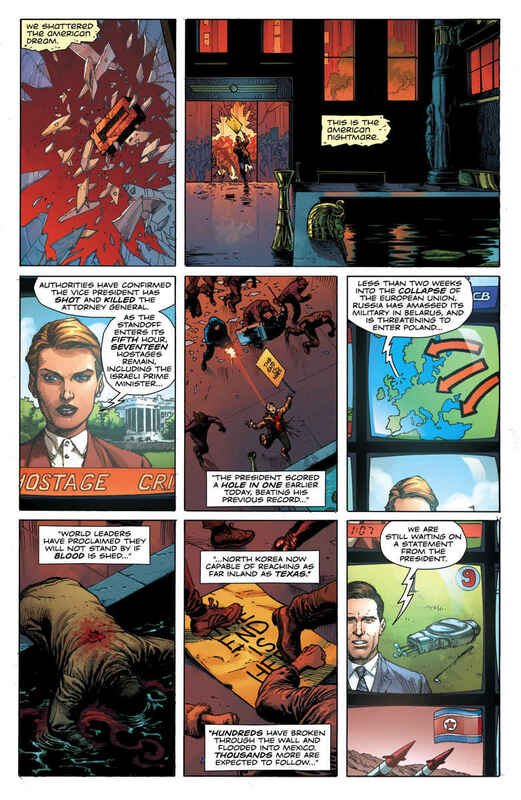 Anyone who hasn’t read Watchmen will be rendered hopelessly lost by the story and Johns’ dialogue reads like a parody of Moore’s textual style rather than a pastiche of it. There’s far more comedy at play in this issue than its original source material and most of it falls flat. When the jokes work, however, they work incredibly well. Gary Frank’s efforts to emulate Dave Gibbons are far more successful. 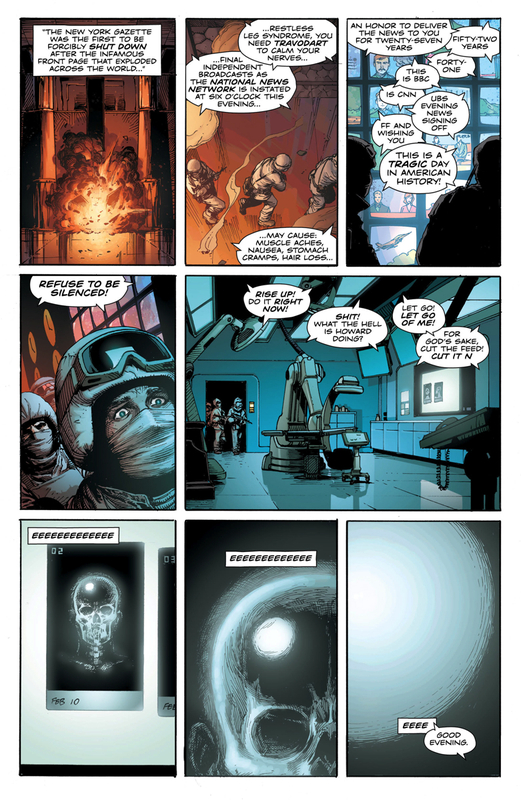 Ignoring that Doomsday Clock #1 utilizes the same three-by-three, nine-panel grid structure as Watchmen, Frank’s detail-driven aesthetic is a good match for Gibbons’ visually. It’s truly stunning how much Frank depicts in each panel of this comic and eagle-eyed readers will no doubt reread this book several times trying to winkle out every last Easter egg. 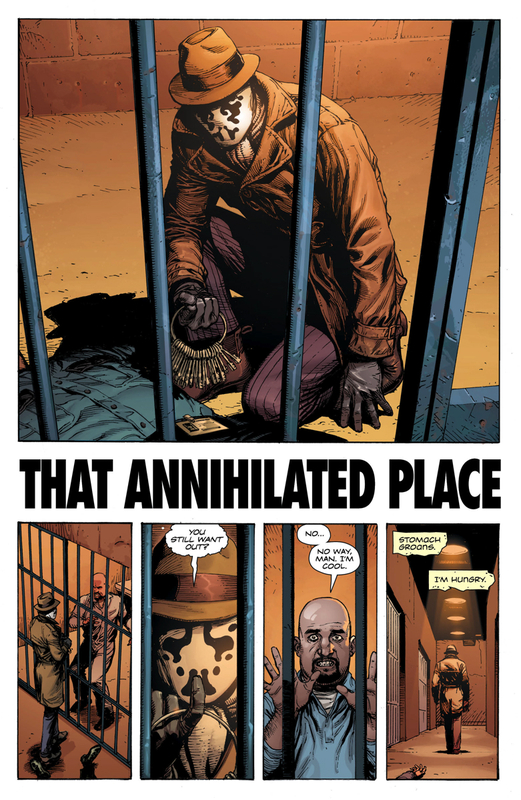 Brad Anderson’s colors provide the perfect finishes and Rob Leigh’s font selections deliver a little extra punch every time Rorschach speaks. It remains to be seen precisely what manner of beast Doomsday Clock will be in the end. This first issue gives readers enough reasons to be optimistic, with amazing artwork and a story that is gripping so long as you’ve read the original Watchmen. Hopefully the series will continue to build momentum in the coming year. 7/10.